Following on from our report on last autumn’s conference, we have published our first ever eBook expanding on the discussions that took place in Nyon. The Big Bang and the interfaces of knowledge: towards a common language? Since the meeting, our conference rapporteur, Adrian Brown, has taken the original report, included video interviews with key participants and created the first Wilton Park ebook. The ebook also includes various reflections from the initial post conference debriefing at CERN and some analysis of the conversation in diagrammatic form. This is a very exciting new development for Wilton Park. We are immensely grateful to Adrian for all the extra work that this has involved. The cover of the ebook uses the image shown at the top of this article. Search for The Big Bang and the interfaces of knowledge and Download it for free! We hope that you will find this a useful additional resource to stimulate further discussions. Please do circulate news about the ebook to your peers. 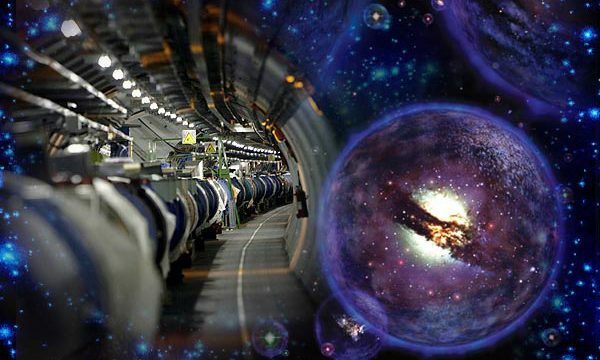 Conference on The Big Bang and the interfaces of knowledge: towards a common language? Report from The Big Bang and the interfaces of knowledge: towards a common language?